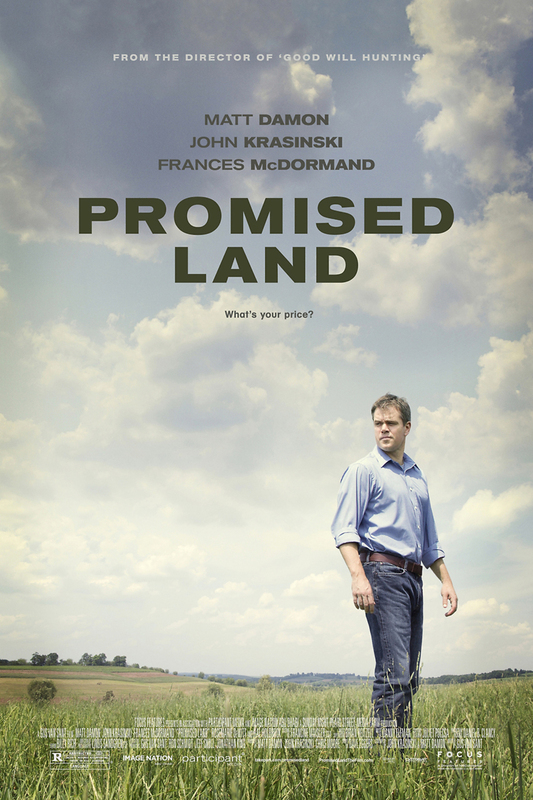 Promised Land DVD and Blu-ray release date was set for April 23, 2013. Global Crosspower Solutions engages in fracking in order to obtain sources of underground natural gas. They send Steve Butler to a small farming town in Pennsylvania, trusting he can convince the local farmers to grant the company drilling rights on their land. The townsfolk are skeptical, but Butler, who also hails from a small community, begins to convince them. A local school teacher brings up the dangers of the fracking process which makes some of the farmers reconsider their vote. One of the farmers seems to have incontrovertible evidence of fracking dangers, until he’s proved a fraud. Or is he? Steve finds out some uncomfortable truths about his employer and must decide to do what’s right, even if it costs him his job.